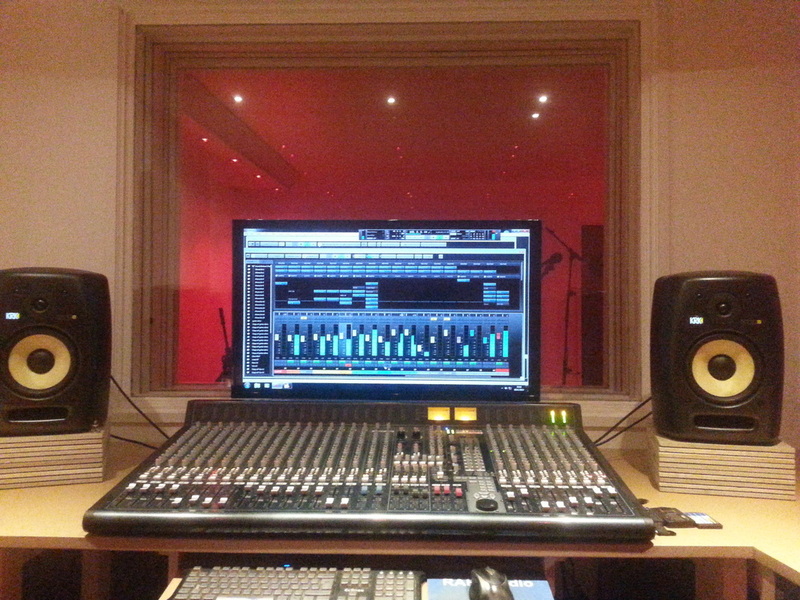 RAH Recording Studios Mission control. Looking into live room 3 @ RAH Recording Studios. 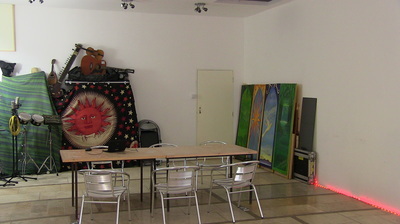 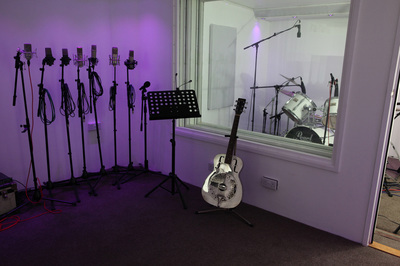 The Big Live Room @ RAH Studio. 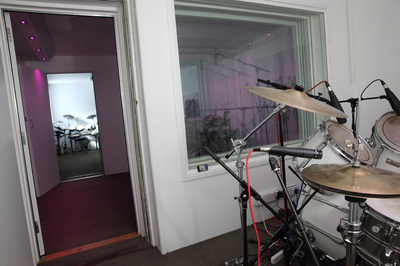 Live Room 2 @ RAH Recording Studios. 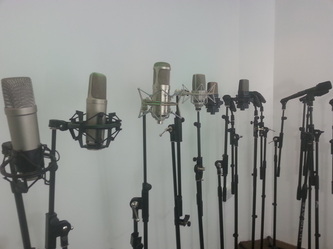 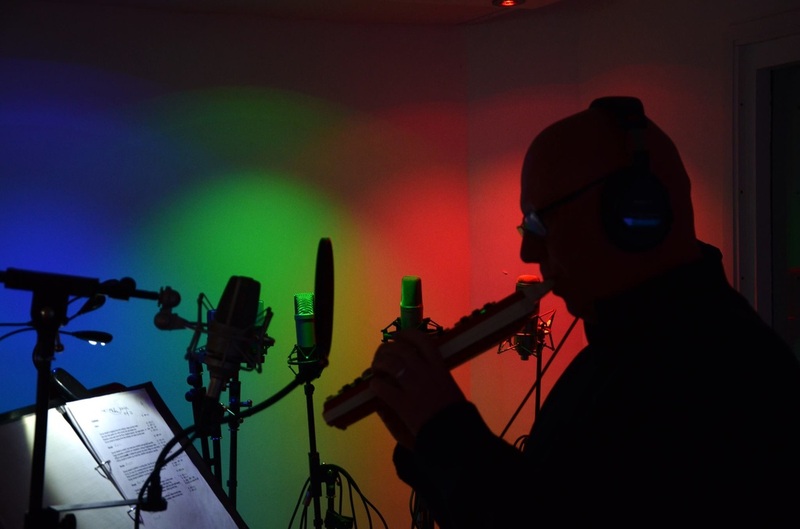 Rode NT1000, T-Bone SCT2000 & Neumann TLM 103 microphones @ RAH Recording Studios. 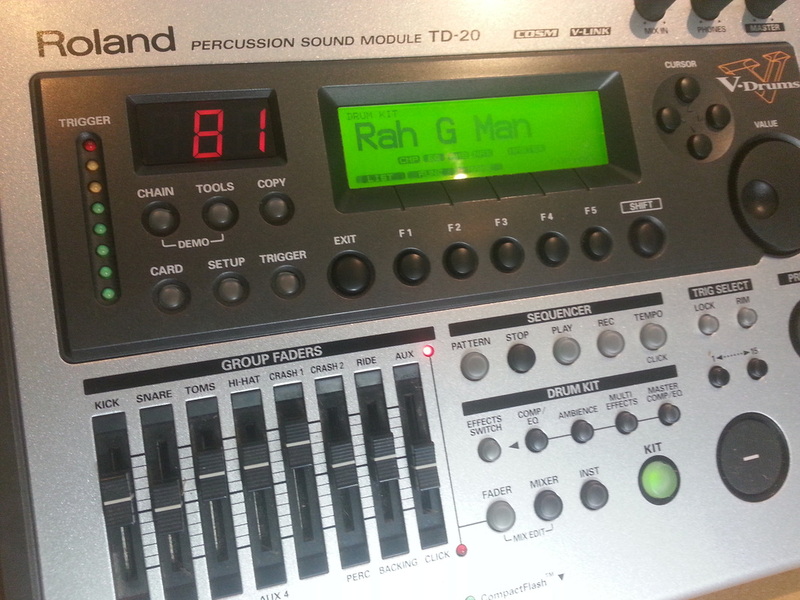 Roland RD700sx piano @ RAH Recording Studios. 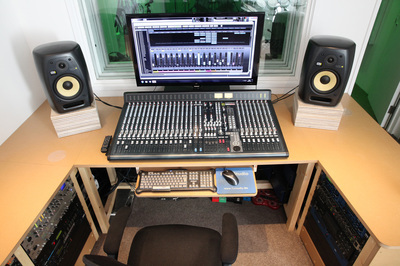 Two valve channels on the desk. Allen & Heath GSR 24m automated desk @ RAH Recording Studios. 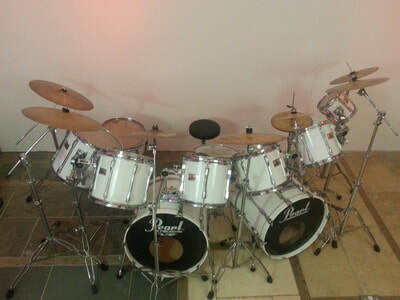 RAH Vintage Pearl BLX kit. 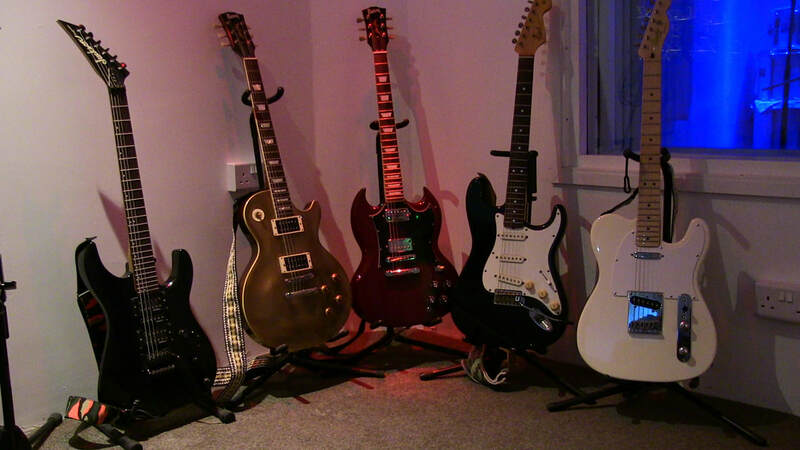 Some of the guitars @ RAH Recording Studios. Focusrite Voicemaster Pro preamp. Focusrite Penta Processor. 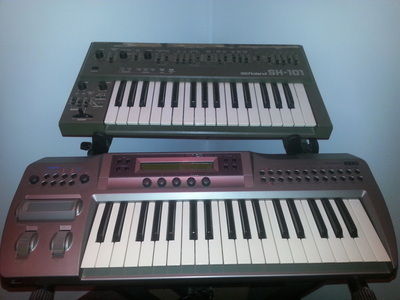 Yamaha SPX 900 multi fx x 2. Alesis Quadraverb multi fx. 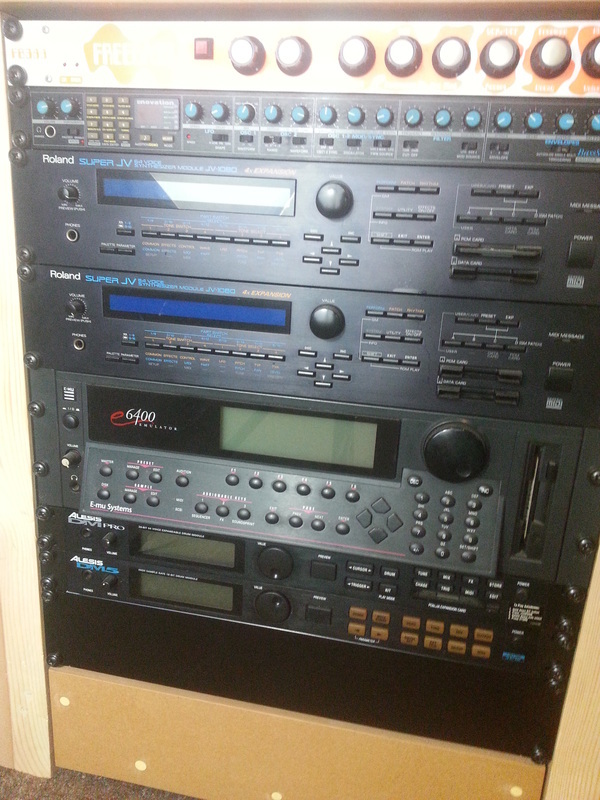 Boss SX 700 multi fx. 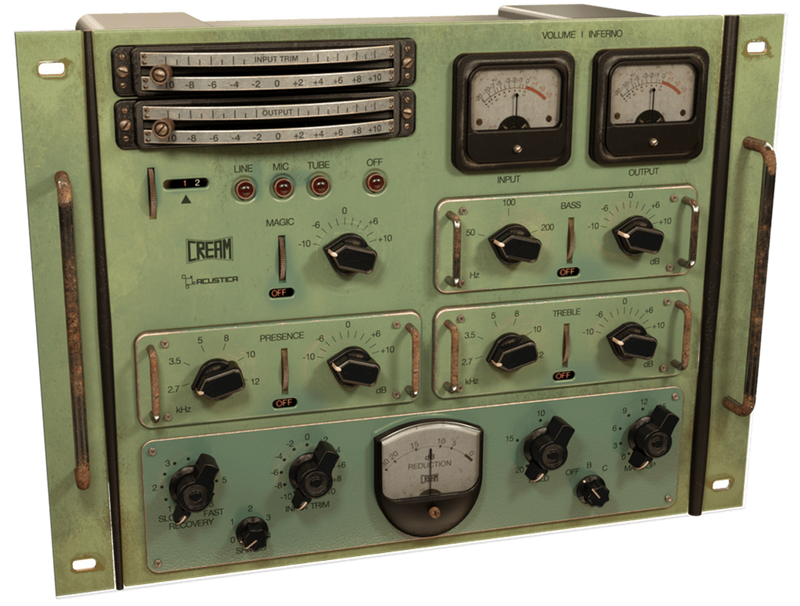 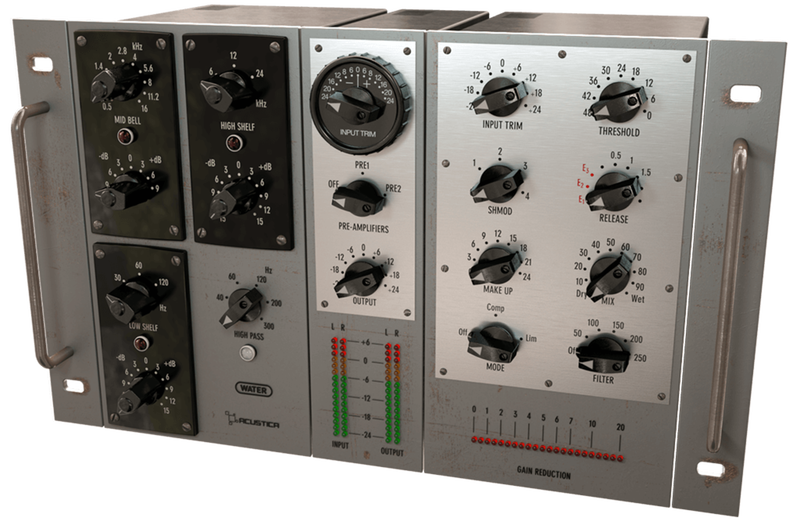 BBE 362 sonic maximizer. 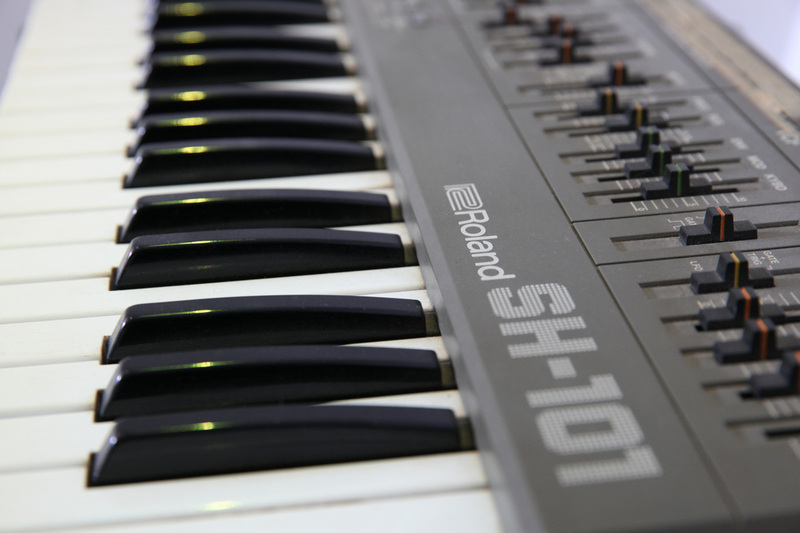 Roland JV 1080 module * 2 (with Orchestral 1 & 2, Vintage, World, Techno, Piano & Experience expansions). 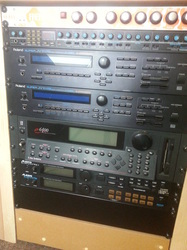 E-mu e6400 sampler. 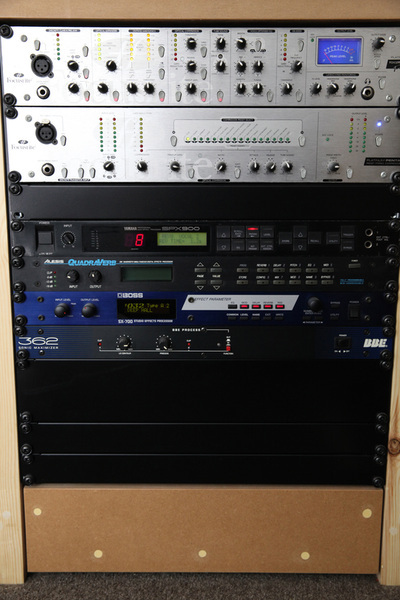 Alesis DM5 drum module. 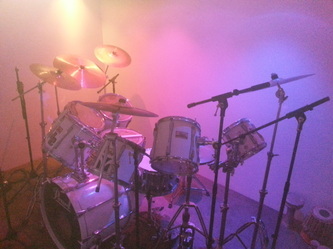 Alesis DM Pro drum module. 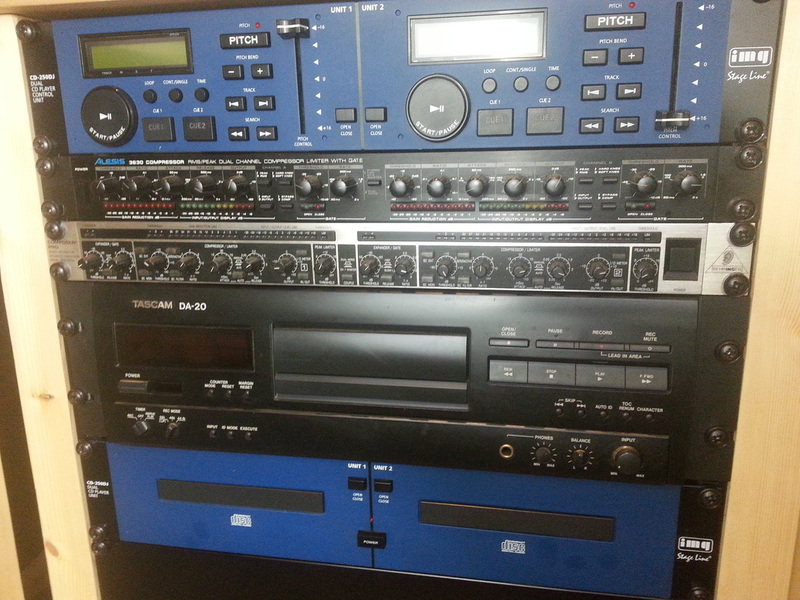 Tascam DA-20 dat recorder. 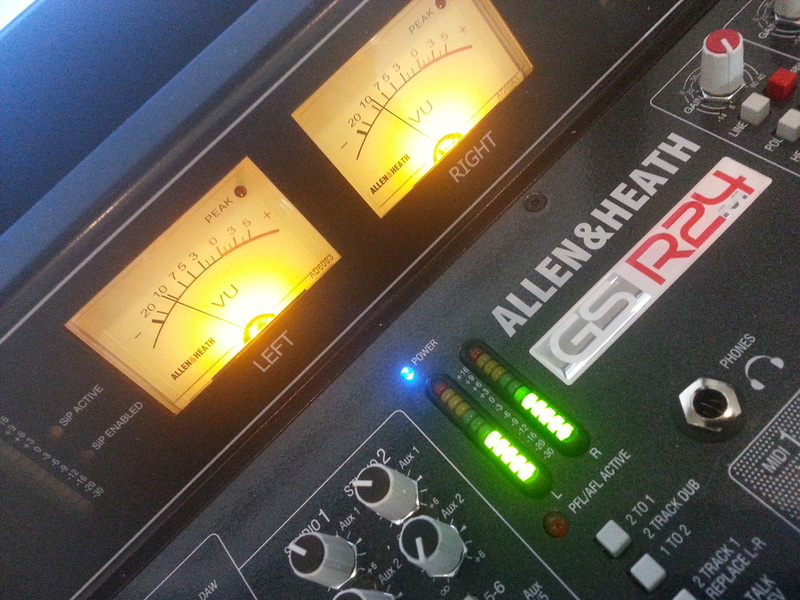 Alesis 3630 compressor. 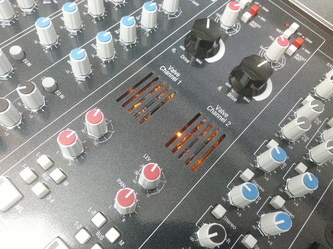 Behringer Composer Pro dynamics processor. 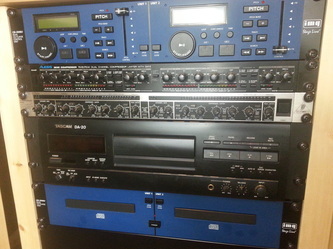 Dual CD players. 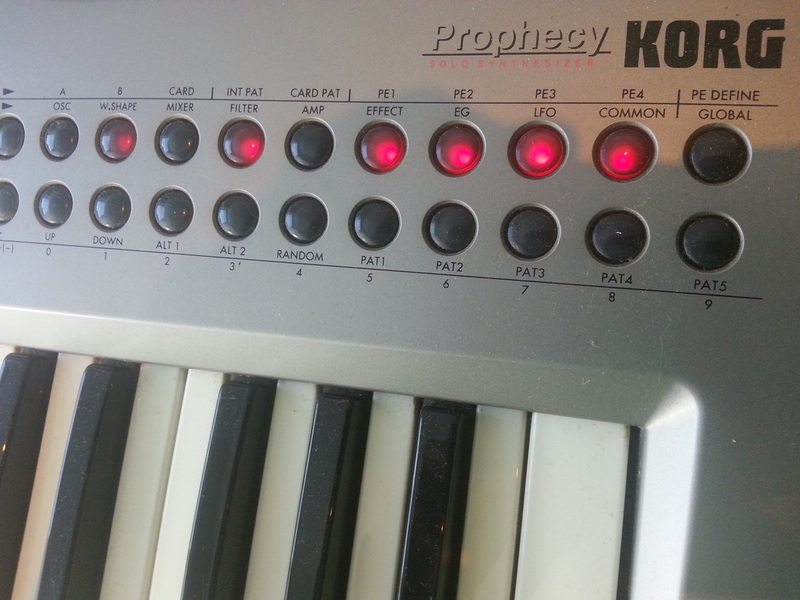 The classic snarling & growling Korg Prophecy. 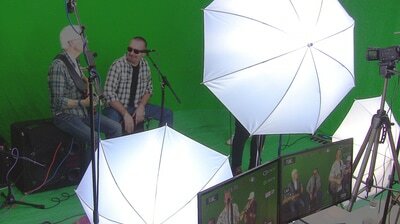 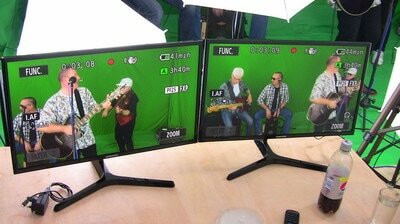 Live performance video shoot @ RAH Recording Studios. The Allen & Heath GS-R24M is a modern classic. 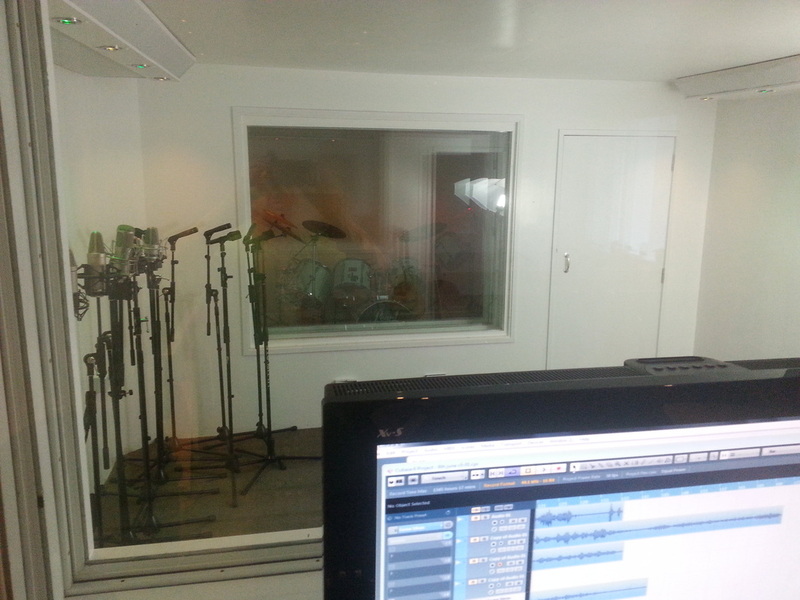 @ RAH Recording Studios. 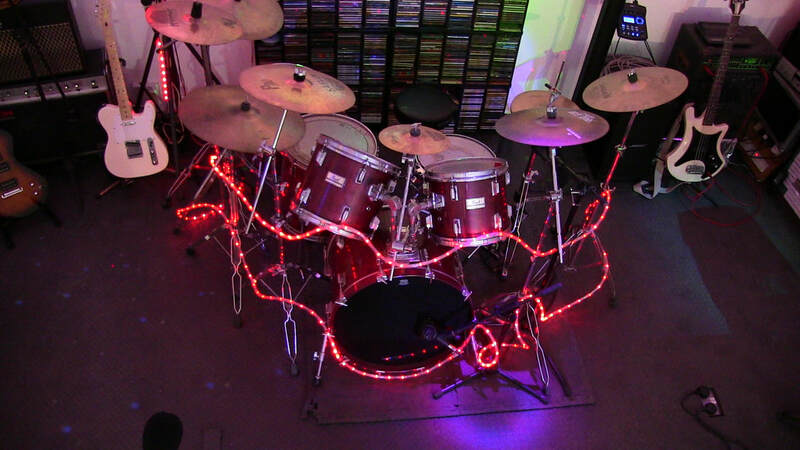 This vintage Pearl BLX monster can also be configured with double bass drums. AKG c414 xls (Matched pair) @ RAH Recording Studios. 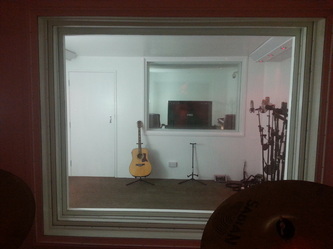 Live room 3 looking through live room 2 into the control room. 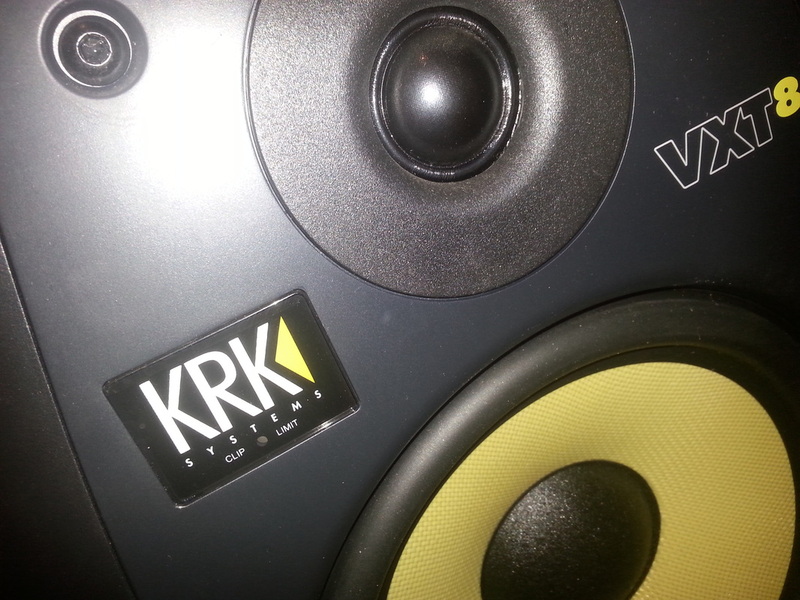 The KRK's deliver clarity and accuracy with a defined low end, articulate midrange and precise highs. 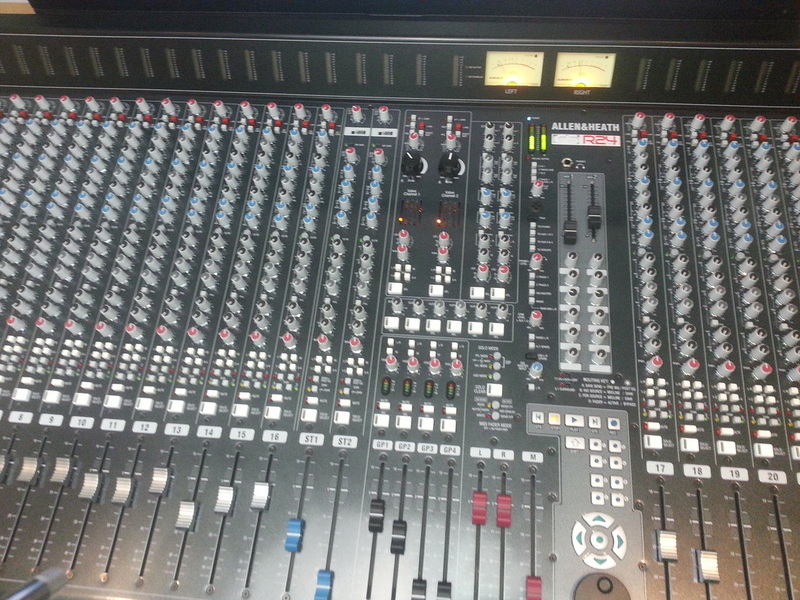 Allen & Heath GS-R24M automated 36 input console @ RAH Recording Studios. 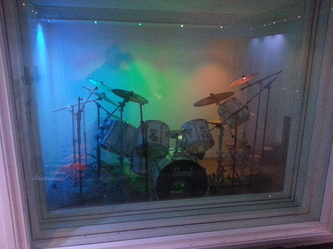 The Pearl BLX kit in the big live room @ RAH Studio. 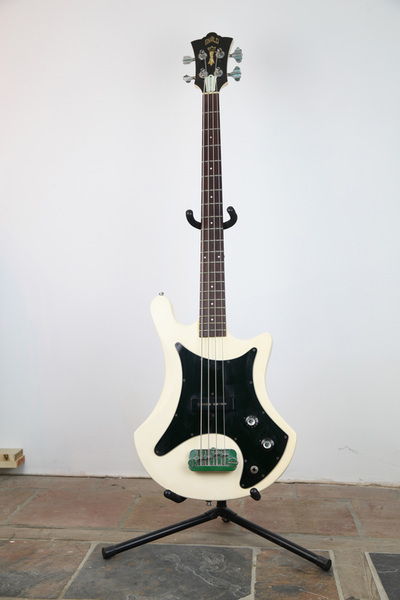 The Pearl BLX Monster. One of two studio kits @ RAH Recording Studios. 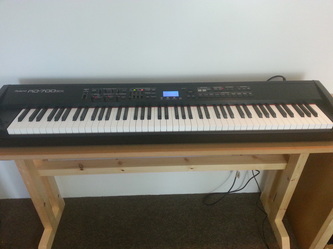 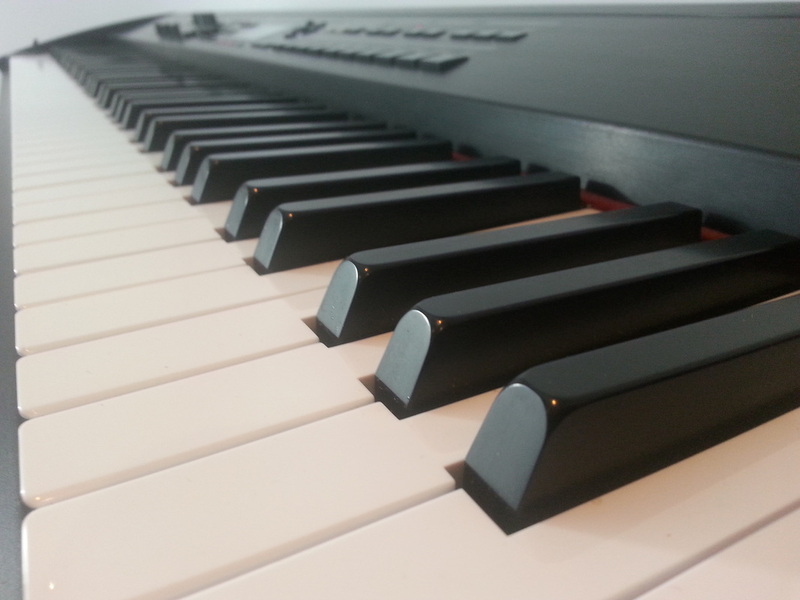 The Roland RD700sx piano. Full size keyboard, 88 weighted keys. 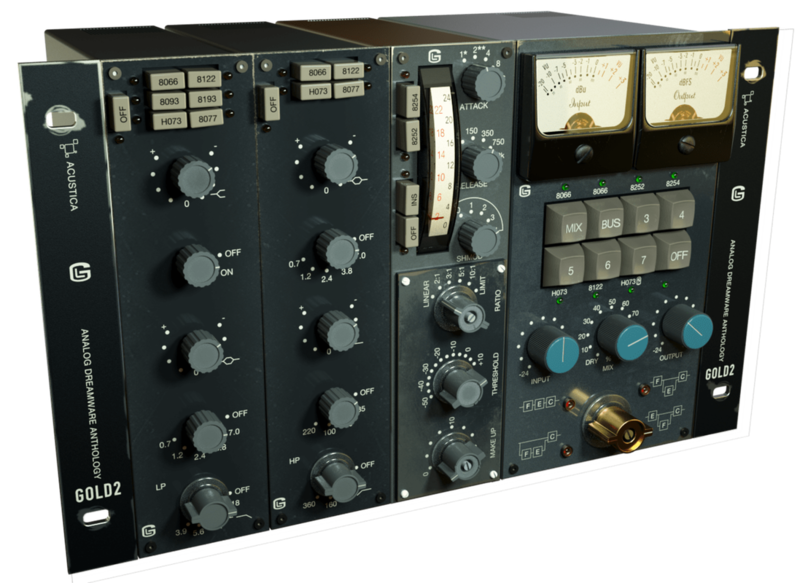 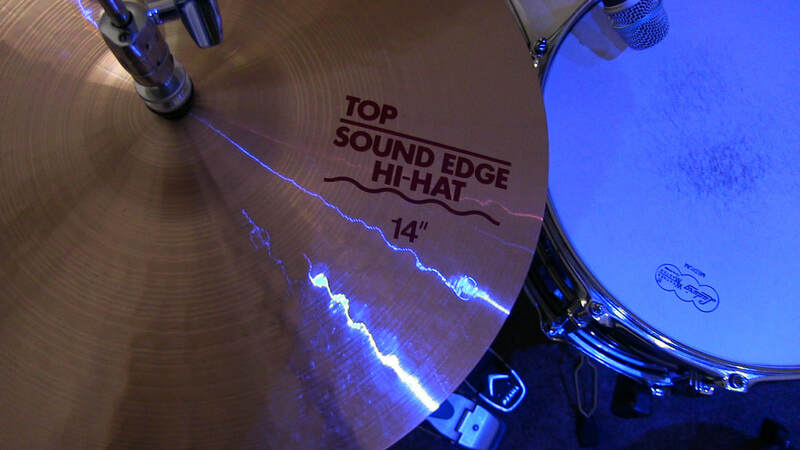 The amazing TD-20 includes an additional 500+ kits. 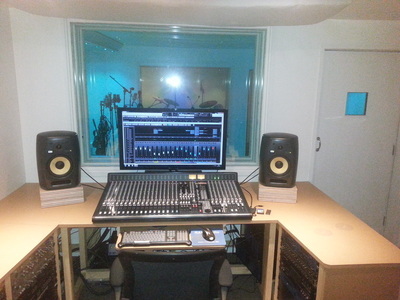 @ RAH Recording Studios. 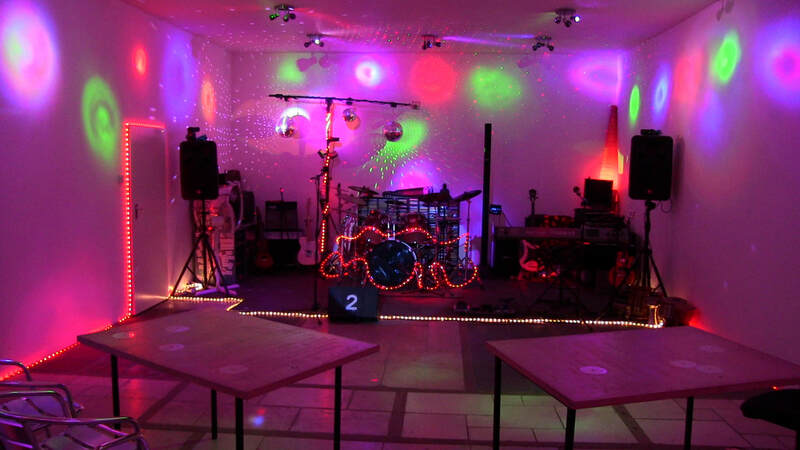 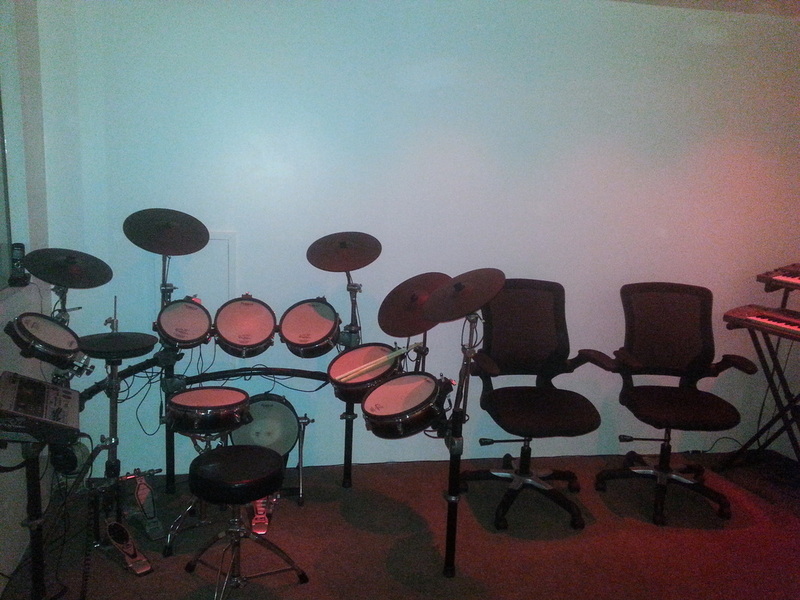 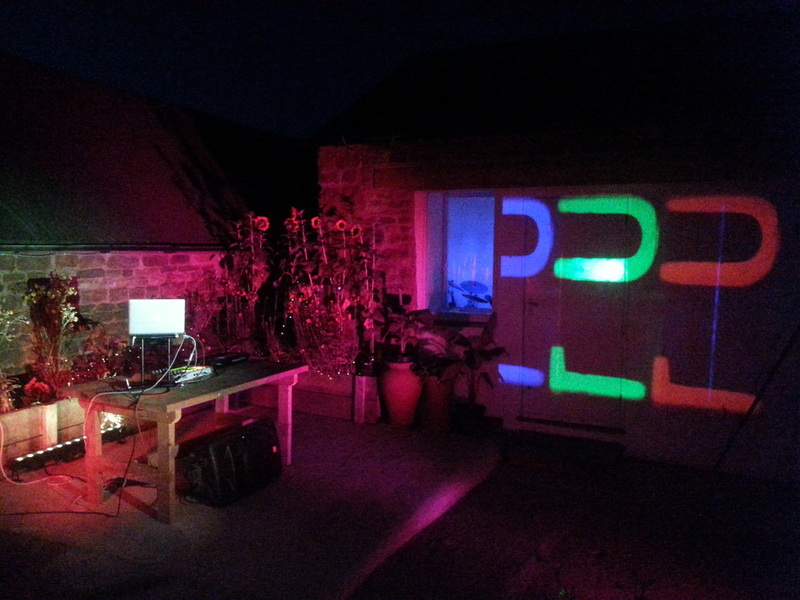 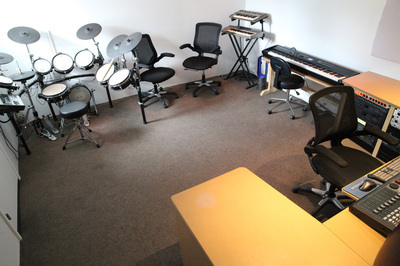 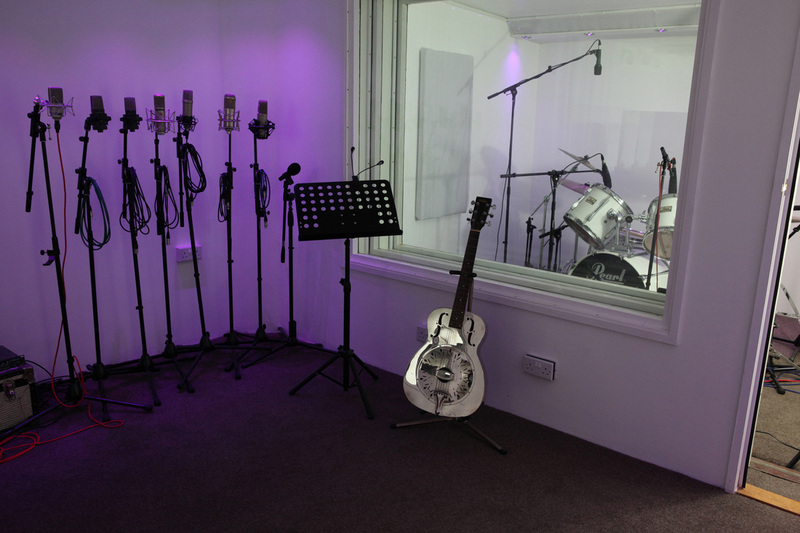 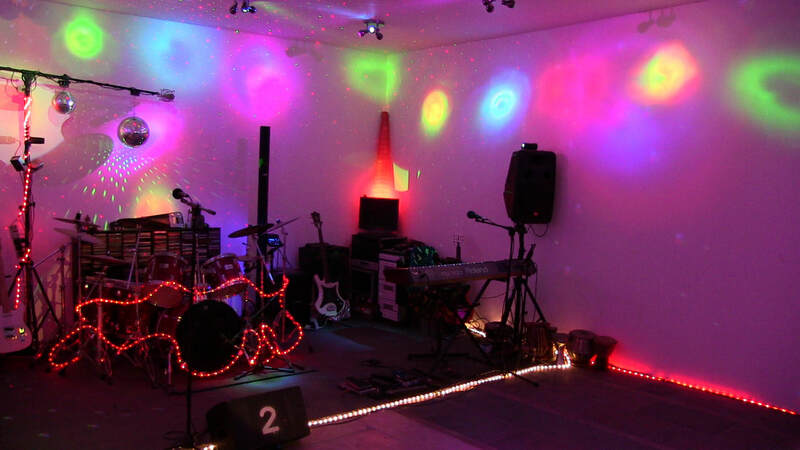 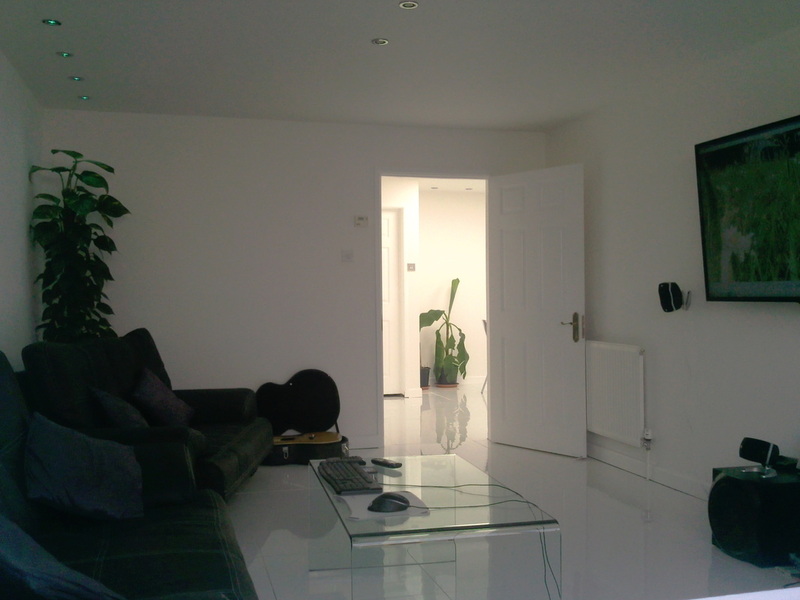 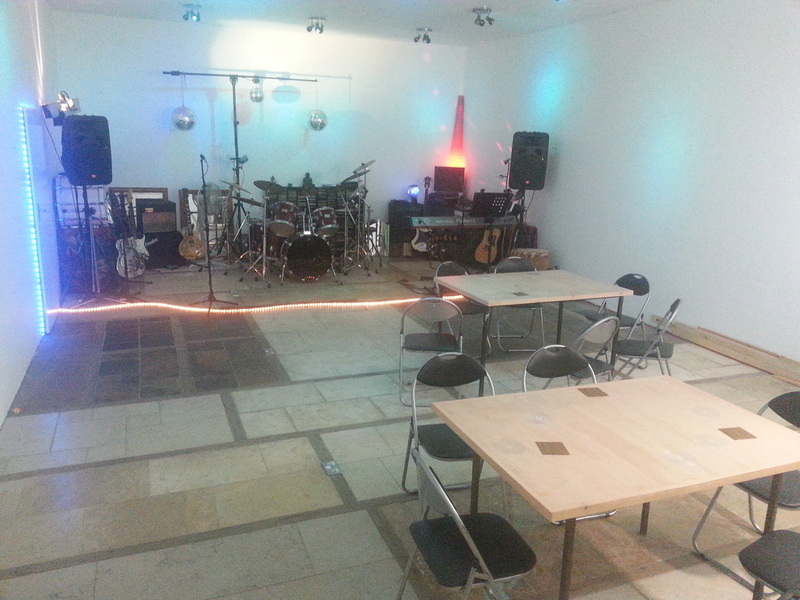 Looking from the control room into live room 2 & beyond into live room 3. 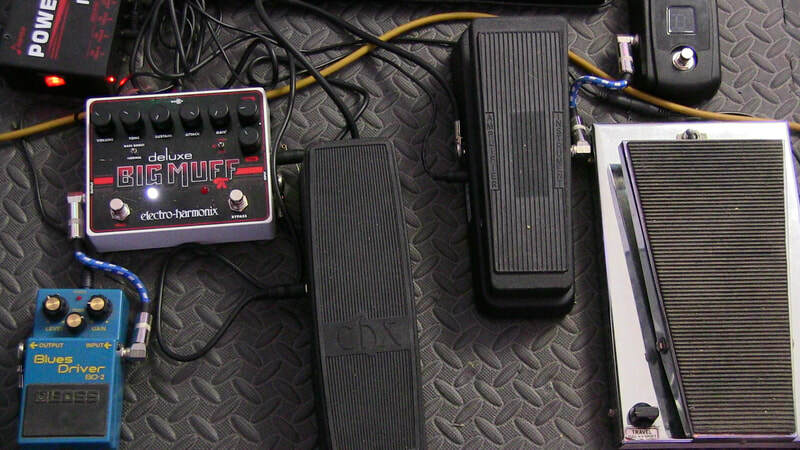 The Fully expanded Roland TDW20. 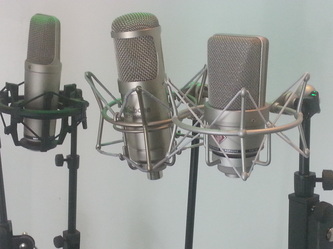 Neumann TLM 103. 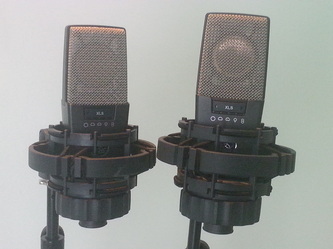 AKG C414 XLS x 2 (matched pair). Sennheiser M421 x 4. Rode NT1000. 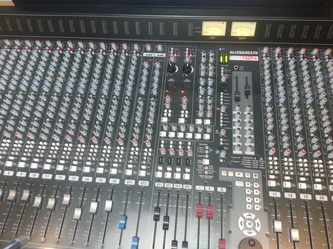 Rode NT1A. 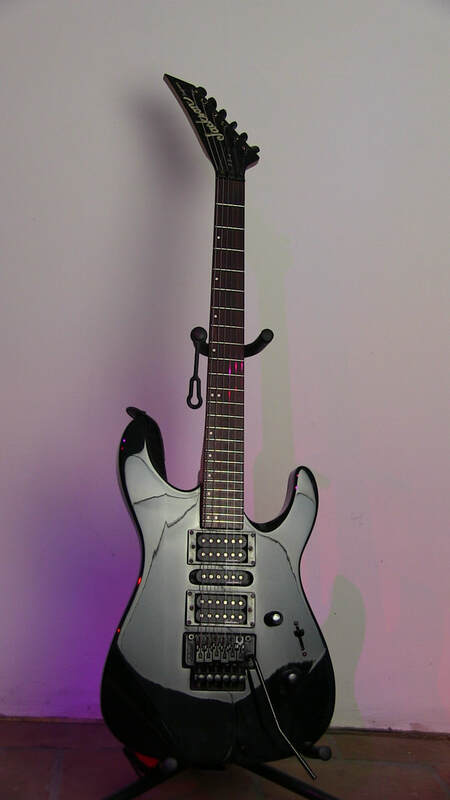 T-Bone SCT2000. Shure SM57 x 5. 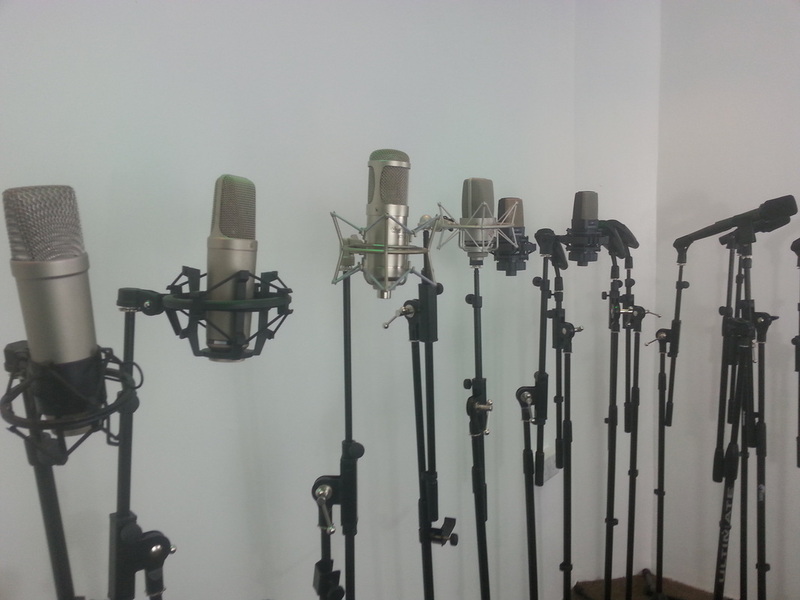 Shure SM58. AKG D112 x 2. 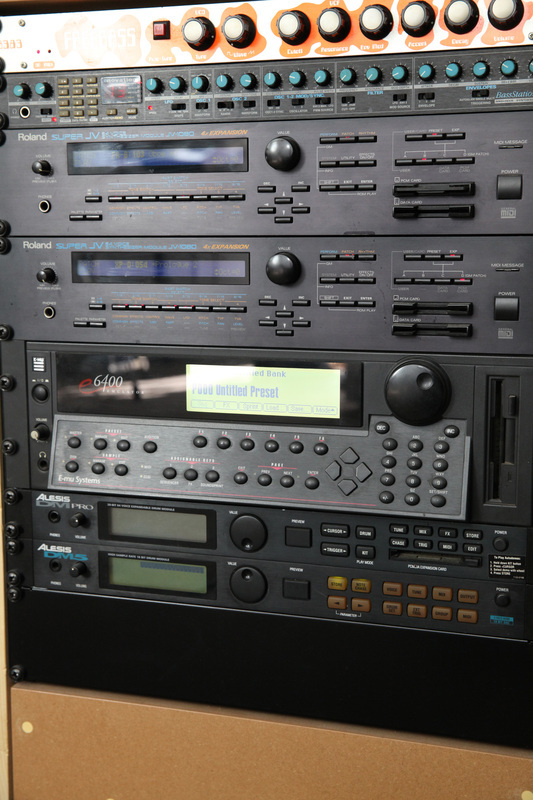 AKG C1000. 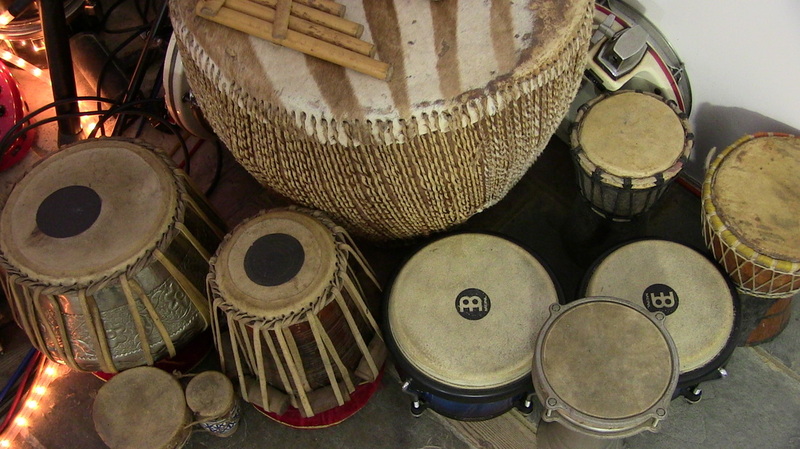 Some of the selection of hand drums @ RAH. 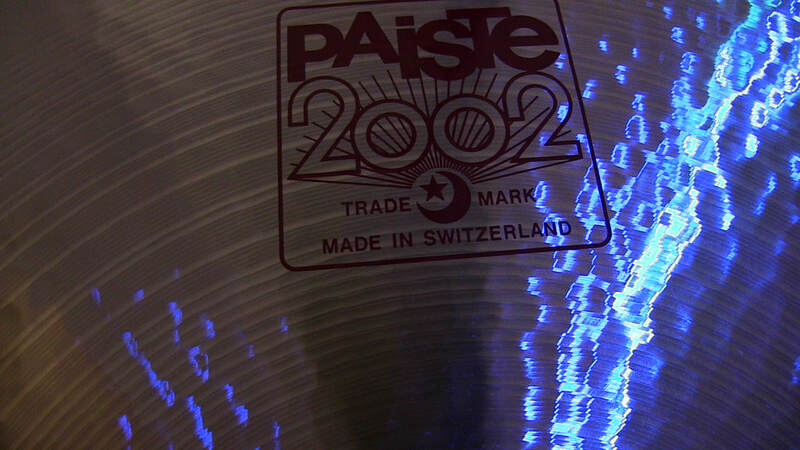 Paiste 2002 range cymbals @ RAH Recording Studios. 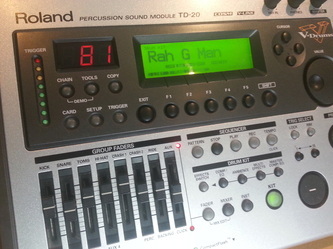 One of the two Roland RD-700's @ RAH Studio. 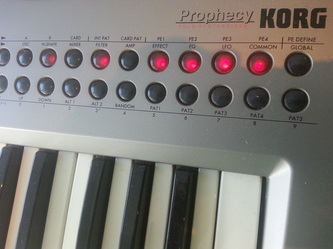 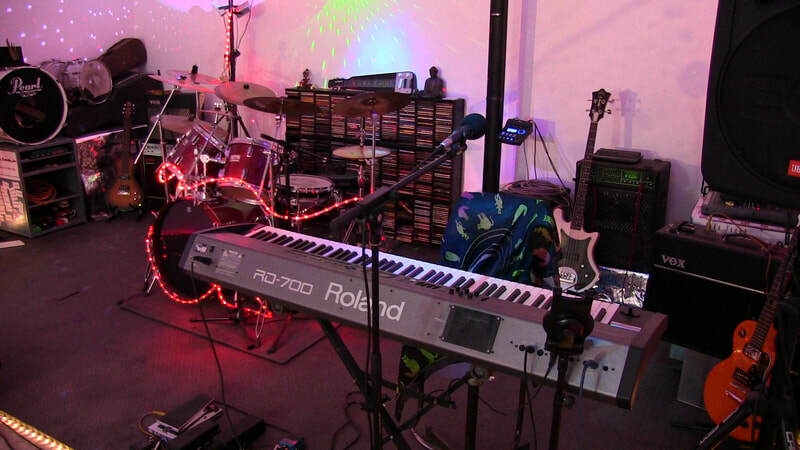 Roland SH101 & the Korg Prophecy @ RAH Recording Studios. 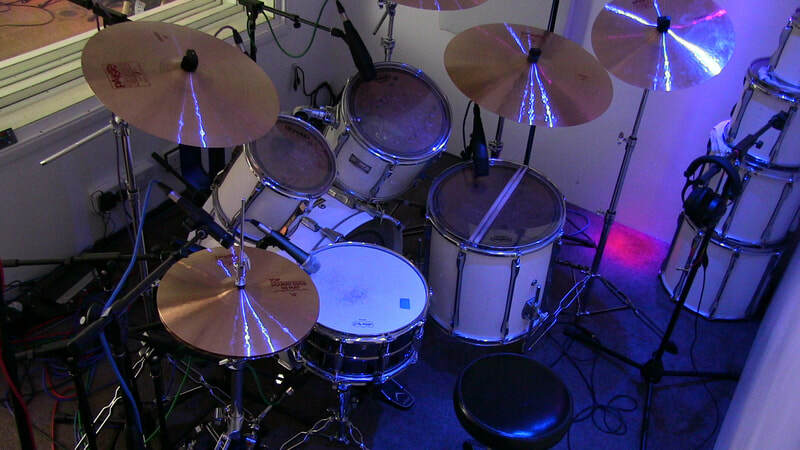 Paiste 2002 Hats & Brass Ludwig Black Beauty Snare @ RAH Recording Studios. Roland SH-101 @ RAH Recording Studios. 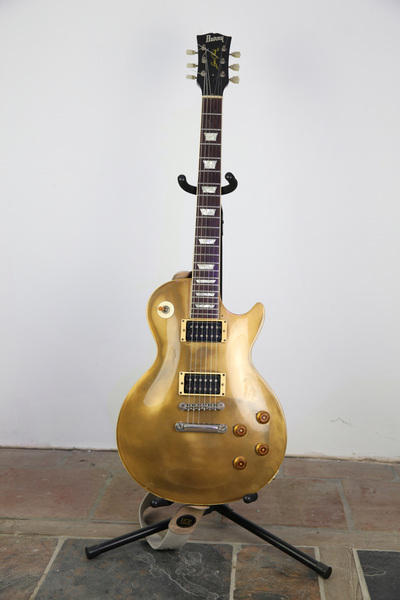 Burny Super Grade Les Paul Gold Top (vintage) @ RAH Recording Studios. 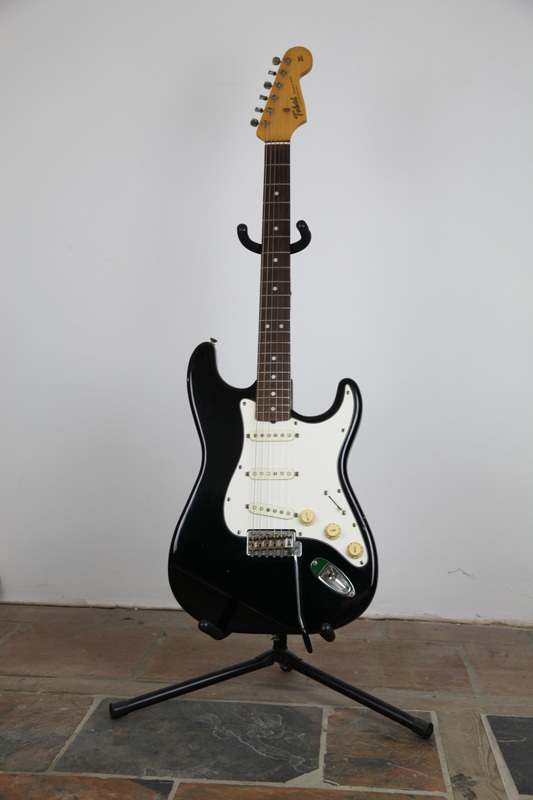 Tokai Goldstar Sound Stratocaster (vintage) @ RAH Recording Studios. 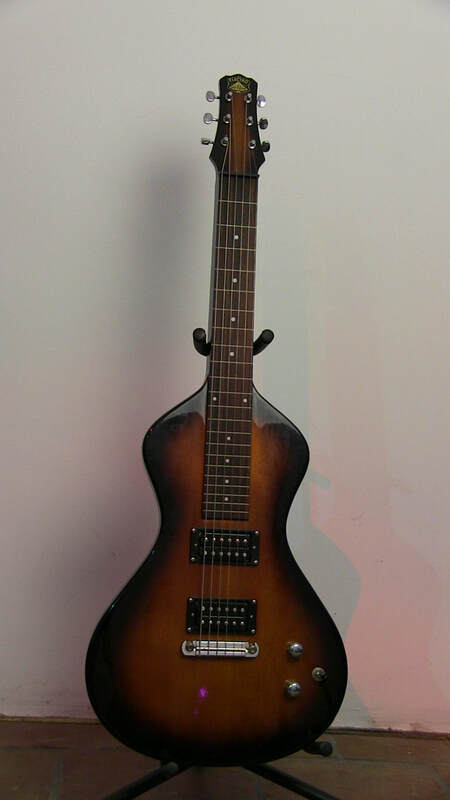 Asher Electro Hawaiian Junior Lap Steel @ RAH Studio. Guild B302 (vintage) @ RAH Recording Studios. 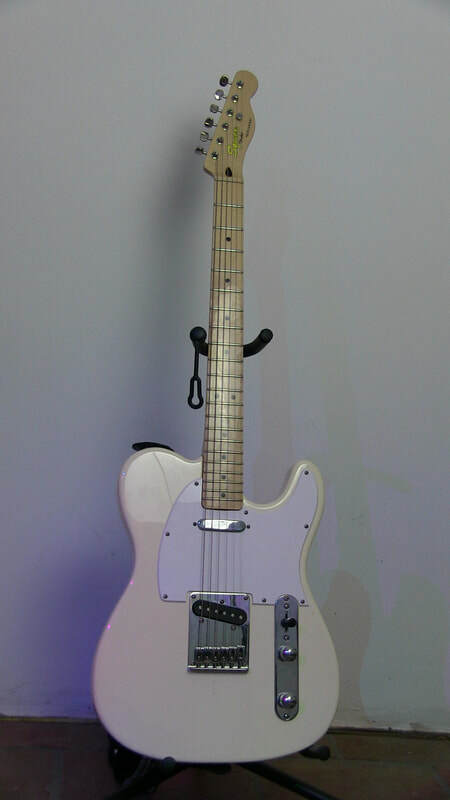 Fender Squire Telecaster 'Custom Vibe' @ RAH Recording Studios. 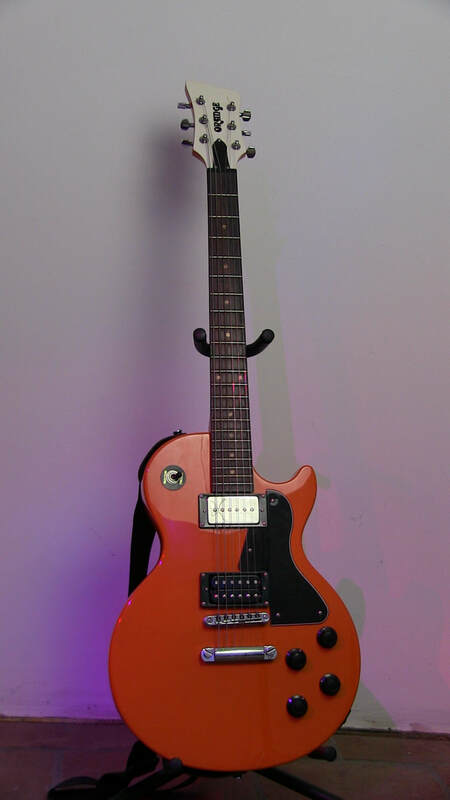 Orange LP Jnr Custom fitted with Gibson 500T & Tonerider Rebel 90 Pickups @ RAH Recording Studios. Burny SG @ RAH Recording Studios. 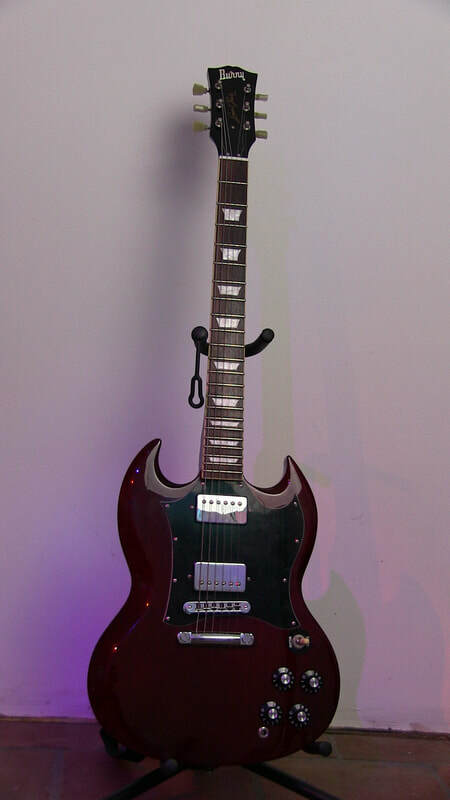 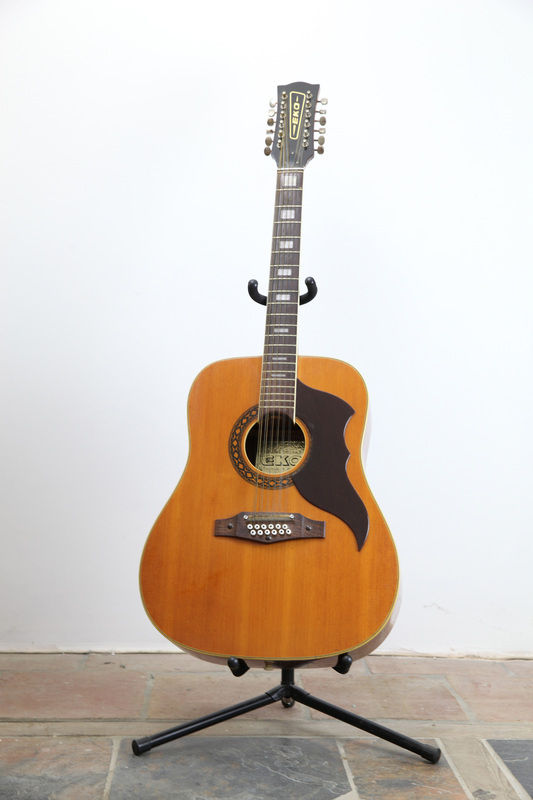 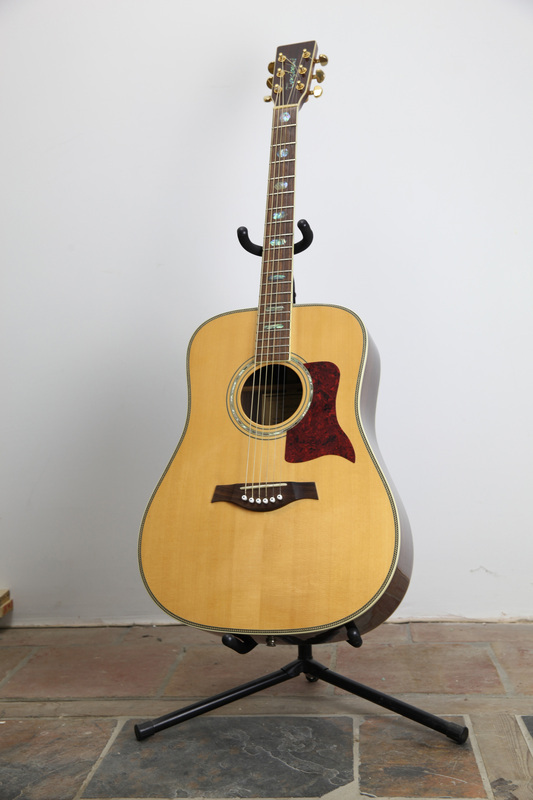 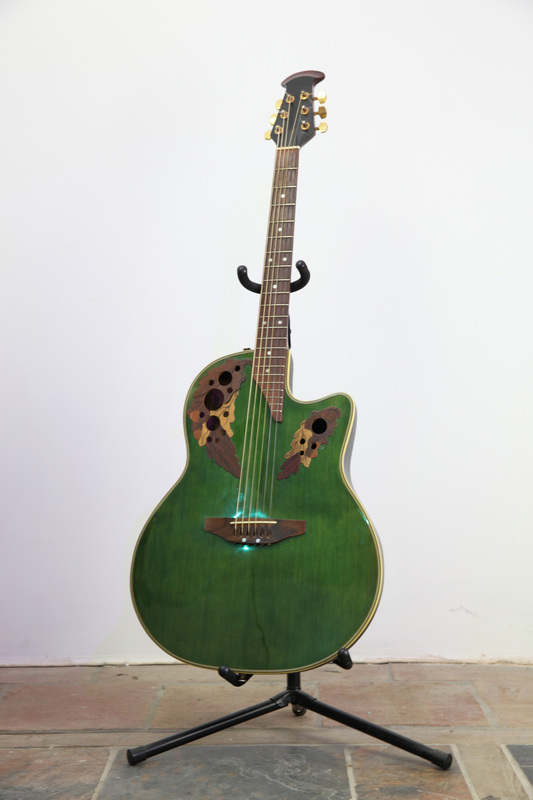 Eko Ranger 12 string (vintage) @ RAH Recording Studios. 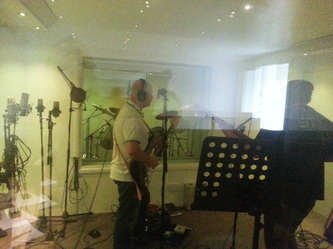 Tanglewood TW-1000-SR-FPP @ RAH Recording Studios. Jackson PS-4 @ RAH Recording Studios. 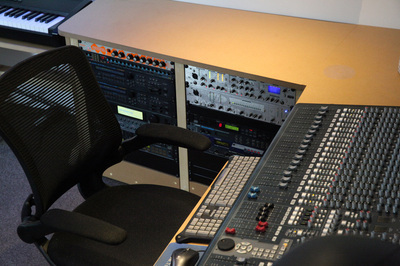 Acustia Audio Gold2 @ RAH Recording Studios. Acustica Audio Cream2 @ RAH Studio. 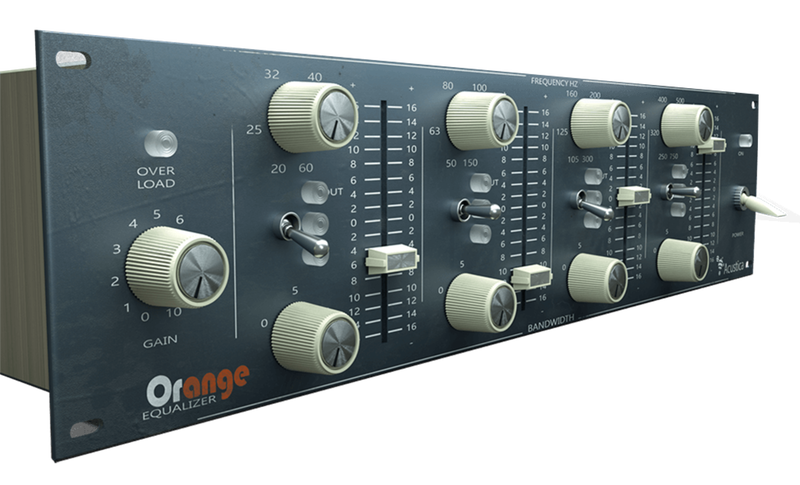 Acustica Audio Orange Equalizer @ RAH Studio. Acustica Audio Titanium2 - SMC 2B Multiband Compressor @ RAH Studio. 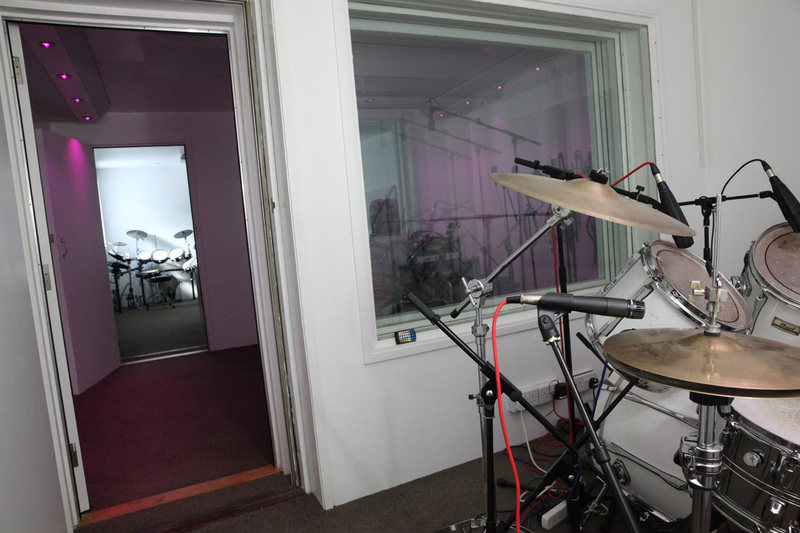 Pedals @ RAH Recording Studios. 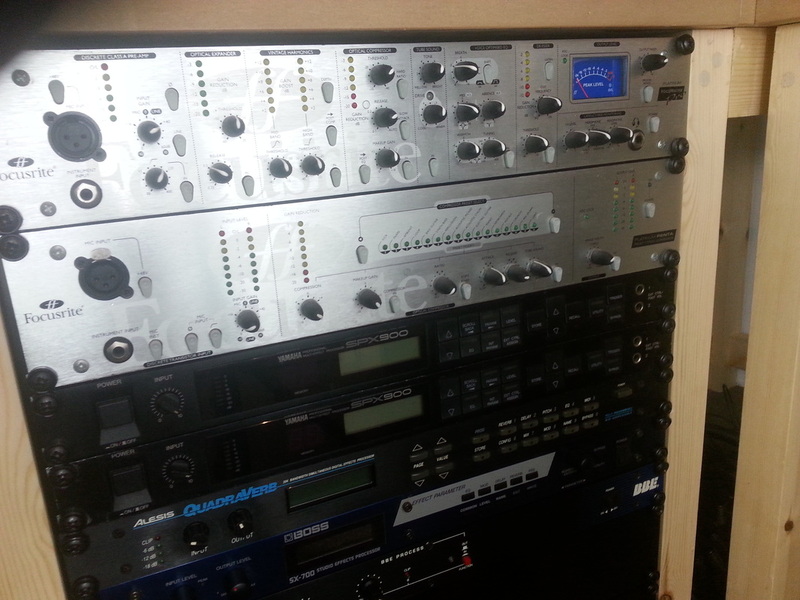 Acustica Audio Water Pre Amps, EQ & Compressor @ RAH Studio. 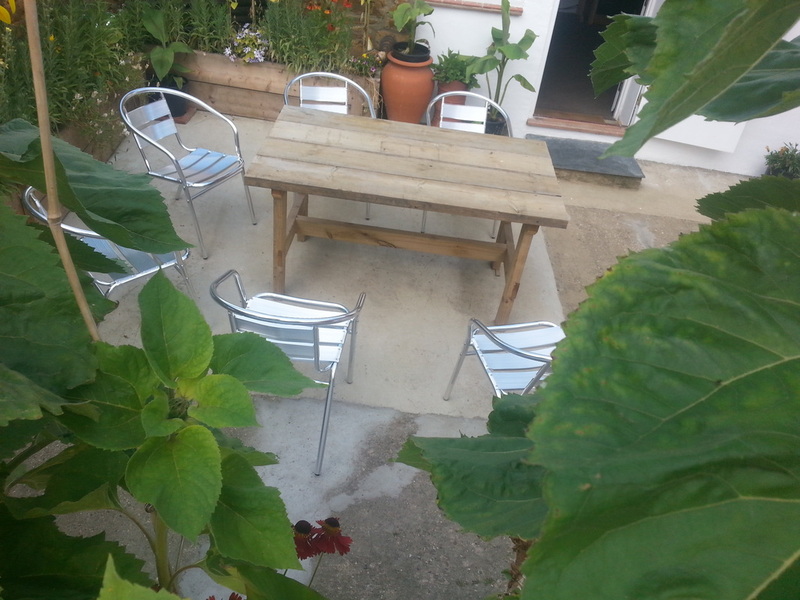 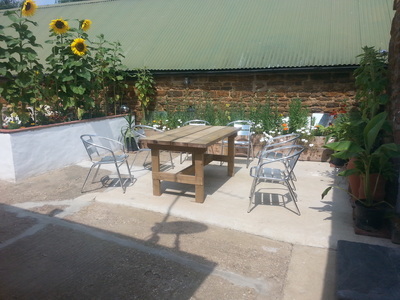 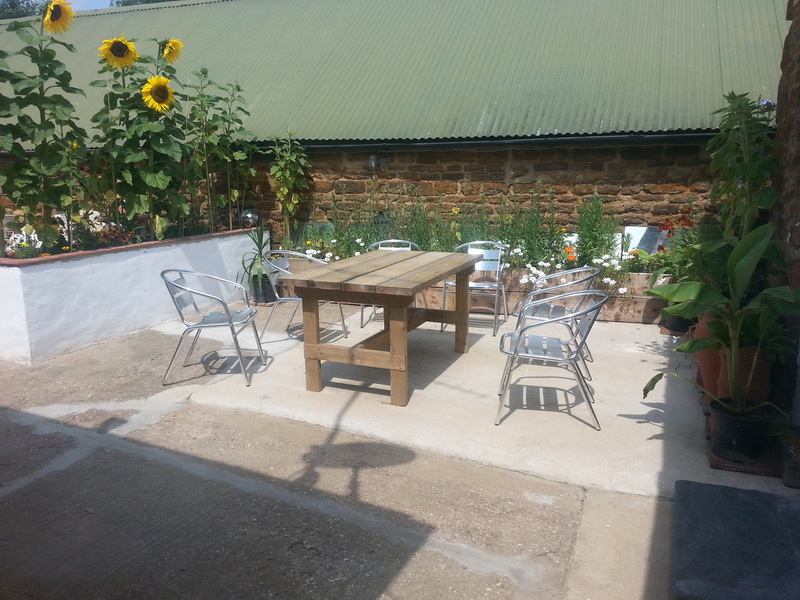 Chillout in the RAH Studio courtyard. 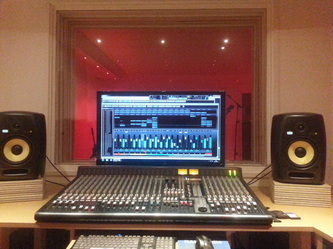 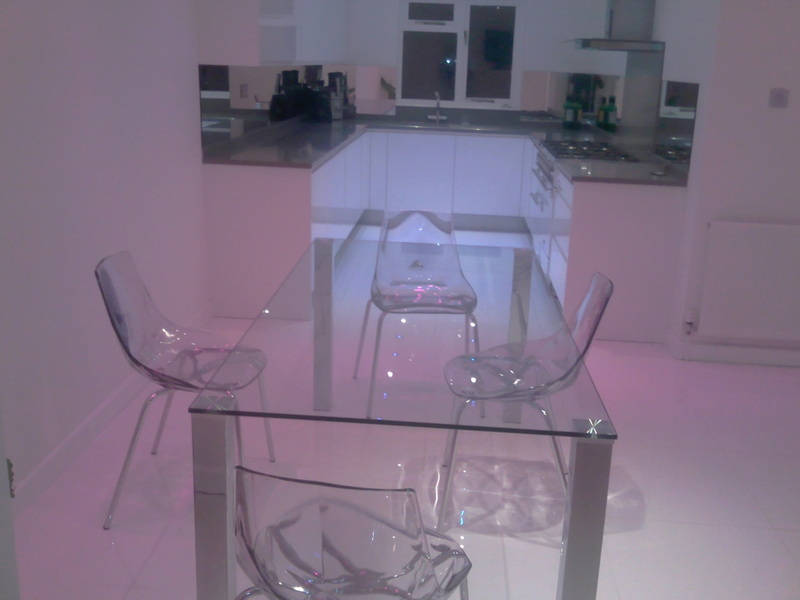 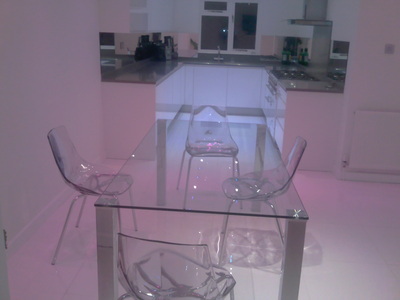 RAH Studio - Tea or Coffee.